Graduated cosmetic precision applicator with truncated tip for external use. Since 2007, Labo has been conducting research geared towards finding a cosmetic method of filling the cutaneous tissues through a very special use of hyaluronic acid, a substance that is renowned for its effectiveness in binding large quantities of water molecules in the skin. 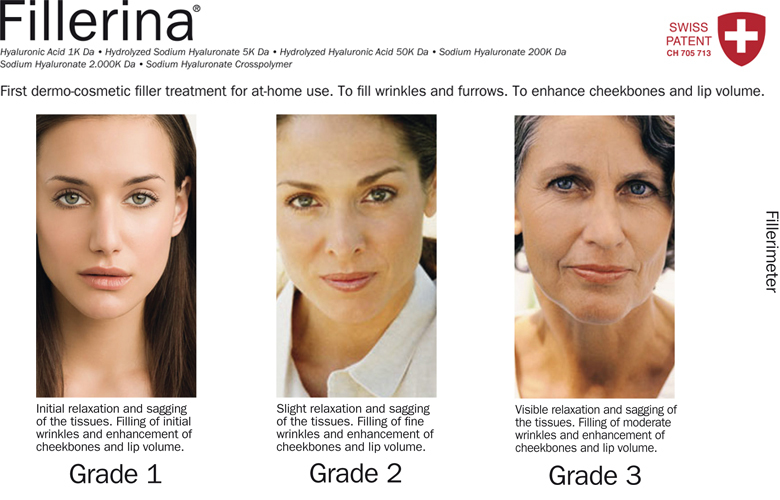 2012 saw the release of Fillerina: this filler treatment for at-home use is a topical cosmetic product to be utilized for 14 days. 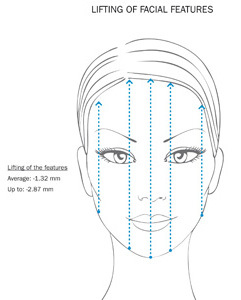 The fundamental action is carried out by Fillerina Gel, to be applied using the supplied precision applicator with truncated tip on the areas characterised by depressions such as wrinkles, expression lines, etc. 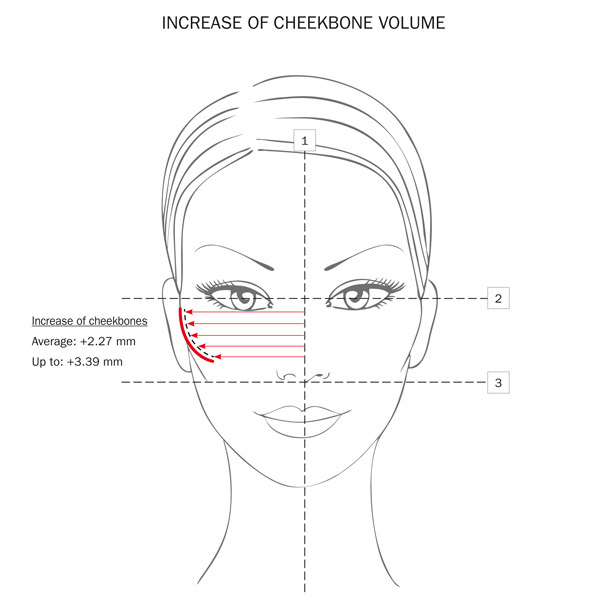 and on specific areas that require greater volume (cheekbones, lips). 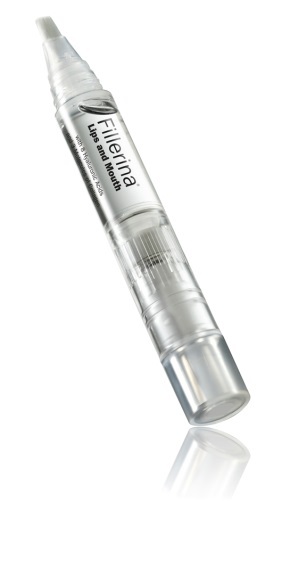 After using Fillerina Gel – which takes 10 minutes – the application can be completed by massaging the Nourishing Film to ensure that the skin of the face benefits from maximum comfort and nutrition thanks to the contribution made by hydrating and revitalising substances: perfect as a day cream or a night cream, it leaves the skin bright and silky. 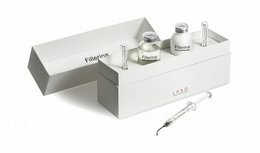 To facilitate the action of the product, Labo experts recommend drinking 2 glasses of water before applying Fillerina Gel. Fillerina is a cosmetic product for external use. 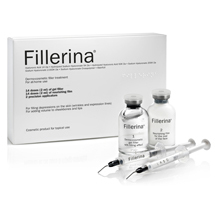 Fillerina is a highly penetrating preparation suitable for promoting a dermo-cosmetic filling action on wrinkles and face skin depressions and an increase in the volume of cheekbones and lips. Fillerina Day Cream is a dermo-cosmetic daily filler treatment to be applied all over the face. It is a moisturizing and protective cream that can be used alone or together with other Fillerina treatments. SPF 15. 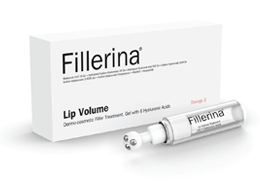 Fillerina Lip Volume is a dermo-cosmetic filler treatment containing 6 Hyaluronic Acids. 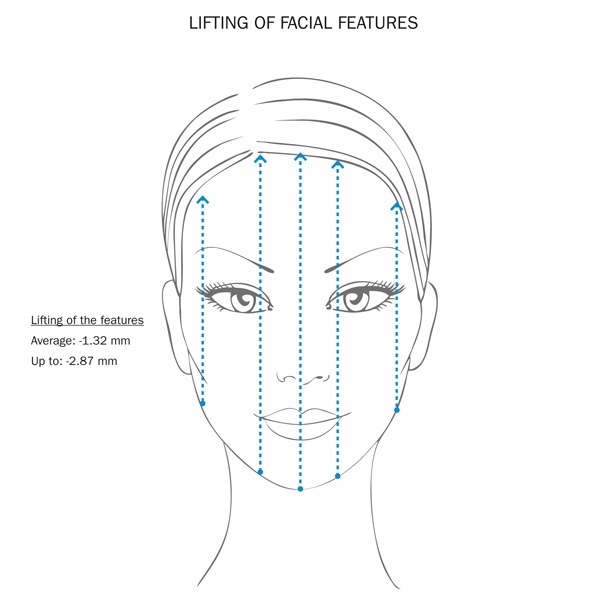 Fillerina Lip Volume promotes the increase of lip volume thanks to the plumping action of the 6 hyaluronic acid molecules with different molecular weights (from 1,000 to 2,000,000 Dalton). These molecules were ex vivo tested to demonstrate their capability to penetrate the most external and deepest cutaneous tissues. The mix of molecules is calibrated to fit the thinner skin on the lips and to improve the penetration and the volume enhancing effect. New Fillerina Neck and Cleavage with 3D Collagen is to be applied in the evening for 14 days as Filler Treatment for at-home use. 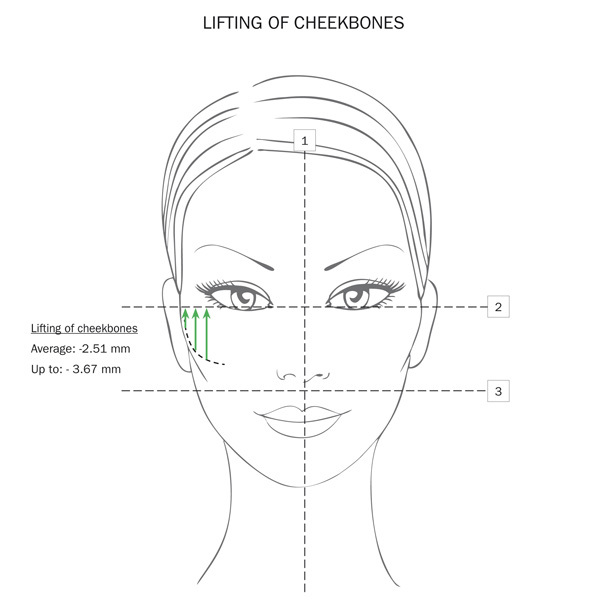 By means of the specific olive-shaped tip applicator, draw up and apply 1ml of Gel on the neck and 1ml on the cleavage. After 10 minutes pat the remaining product with the palm of the hands and then apply the Nourishing Film, dividing 2 ml between neck and cleavage. Grade 4: Circular wrinkles and deep furrows on neck and cleavage. Marked relaxation and sagging of the skin tissues. Grade 5: Circular wrinkles and very deep furrows on neck and cleavage. 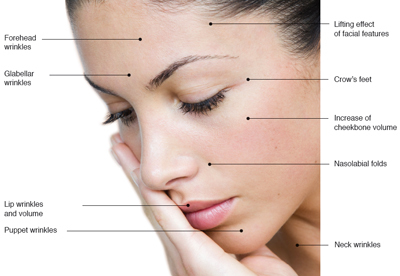 Severe relaxation and sagging of the skin tissues. Fillerina Neck and Cleavage Gel+Nourishing Film shall be applied for 14 consecutive days, followed by the same grade of Fillerina Neck and Cleavage Maintenance Cream in tube. Fillerina Gel Filler for Lip Volume and Mouth Contour is contained in a new brush-tip applicator that allows to dispense a generous amount of Gel and distribute it in a more uniform and comfortable way on both the lips and the mouth contour. It can be applied more times a day. It is recommended to let the actives penetrate for a few minutes before using any lipsticks or lipglosses. Grade 4: For lips with marked emptying, very irregular texture and marked wrinkles on the mouth contour. Grade 5: For lips with severe emptying, wrinkled texture and deep wrinkles on the mouth contour. 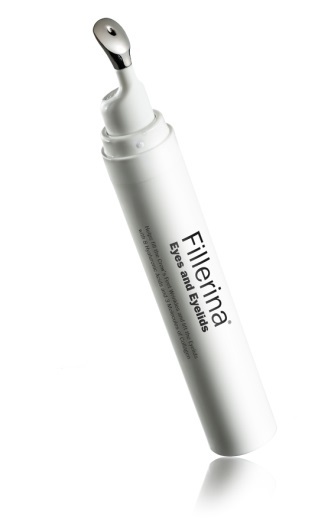 Fillerina Gel Filler for Eyes and Eyelids, to fill the crow’s feet wrinkles and lift the eyelids, is contained in a new specific finger-tip shaped applicator that facilitates the optimal distribution of the Gel on the crow’s feet wrinkles and on the eyelids and allows to massage the skin to enhance the Gel penetration and therefore its efficacy. 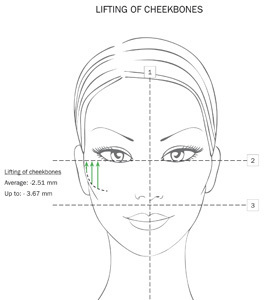 Grade 4: For deep crow’s feet wrinkles and marked sagging of the eyelids. 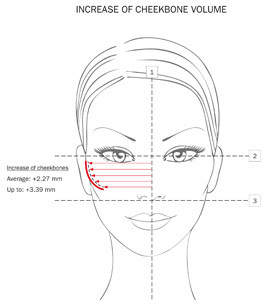 Grade 5: For very deep crow’s feet wrinkles and severe sagging of the eyelids.